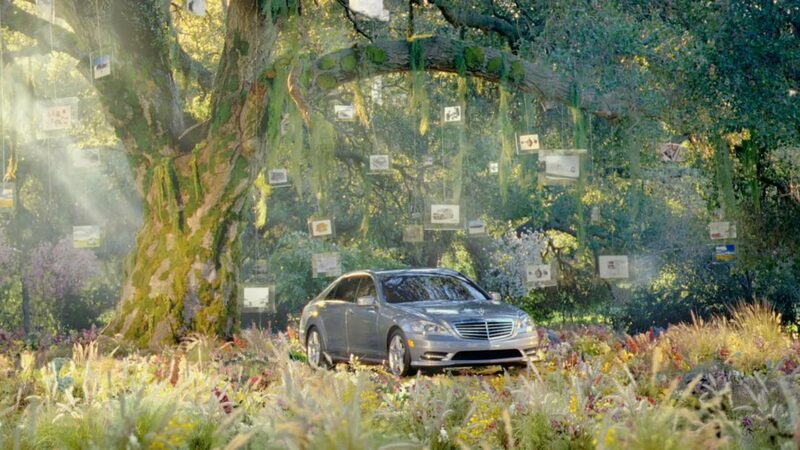 A utopian forest glade – the perfect setting for the Mercedes-Benz S400 to announce its ‘green’ credentials. Engineered with Bluetec, a clean diesel technology for a cleaner, safer future, this luxury hybrid sedan with a compact lithium-ion battery is a hydrogen-electric car that emits only water. Naturally, the S400 won the World Green Car Award. Renowned for a deft ability to combine innovative camera work and CG subtlety, HSI director Jason Smith, filmed 'Tree' in rural Los Angeles. He also shot the studio and information footage - about the S400's green technology and its environmental accolades - which plays out on small screens that hang among the forest trees like glimpses into another dimension. Atmospheric touches highlight the eco-luxury status of the S400, an awesome beast seen momentarily at rest among the lush flora beneath a magnificent tree, glinting in filtered shafts of sunlight and flurries of pollen, courtesy of lead Flame artist Dan Williams and his team. In the market for a hybrid? Take a look at Tree. You could just become so enchanted you'll buy yourself a Mercedes S400 or, at the very least, invite it to a picnic.